We like new and unknown grindcore bands! And, what is more, if they have a witty name, nothing to think about! That is why be sure to welcome an emerging squad from France called TINA TURNER FRAISEUR in July. Formed in 2013 they have recorded two autonomous 7“s and played an array of live shows! Their plans for 2016 are more than clear – to play as much as possible and to release two splits with NEID and LIFE CRIME as well. TTF at OEF 2016!!! 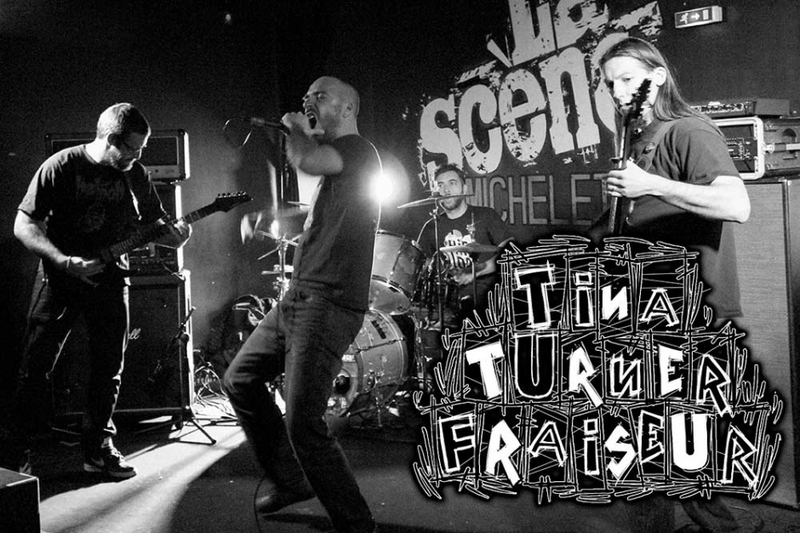 Tina Turner Fraiseur is a group of grindcore based in Nantes in France. The group, been born in 2013, consists of Jo (vocals), Max (drums), Seb (guitar) and Tope (bass), former with old members of SEPHIROTH and SINSCALE, with for only ambition to go always faster and to be always more violent musically ! The group recorded two EP conscripts SIMPLY THE BEAST in 2014 and MOUTONS in 2015, Split with NEID ( Italy) and LIFE crime (Austria) in 2015. The third EP, shows and tours are in preparation by summer 2016!! !